WASHINGTON (CNS) -- Changes in law and public opinion have had their role to play in the quest to end capital punishment in the United States, but Catholic teaching also has played a part, according to Robert Dunham, executive director of the Death Penalty Information Center. Capital punishment is now legal in Oregon. It has come and gone. The first execution under the territorial government was in 1851. Capital punishment was made explicitly legal by statute in 1864, and executions have been carried out exclusively at the Oregon State Penitentiary in Salem since 1904. Clarence Darrow, famous American lawyer, known for his eloquence in defending unpopular clients and in securing reprieves for those condemned to death, will be portraited by renowned actor Gary Anderson, on November 15th at the Salem Library. Former Gov. John Kitzhaber is the most prominent voice against Oregon's death penalty, but he says repeal is a step toward a greater goal. 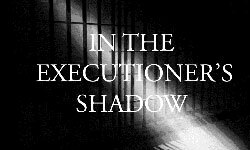 Three former Oregon State officials discuss their roles in the execution of two inmates, and share their feelings about the execution process and the use of the death penalty. The Conversation from Now Video on Vimeo. Arkansas has scheduled 8 executions to take place in 10 days beginning April 17th. Arkansas hasn't had an execution in 12 years, so why the sudden rush? Simple: their lethal injection drugs are about to expire. Arkansas has exactly eight doses left of a crucial drug used to perform lethal injections that expire at the end of April. So the governor scheduled eight executions packed into a ten day period — with two executions per day — as if the justice system was a conveyor belt. Read more about Arkansas prepares to execute 8 men in 11 days: Justice, or an ‘assembly line of death’?